Lately I found that several of my kiddos have taken a back slide on alphabet letter recognition. This was material we learned last year and reviewed at the beginning of this year, but as I am sure you have experienced, for one reason or another, we often find ourselves needing to reteach concepts. Recently, I found myself in this position but felt I had exhausted my alphabet materials and needed something new to present these two precious girls with to help them regain this skill. 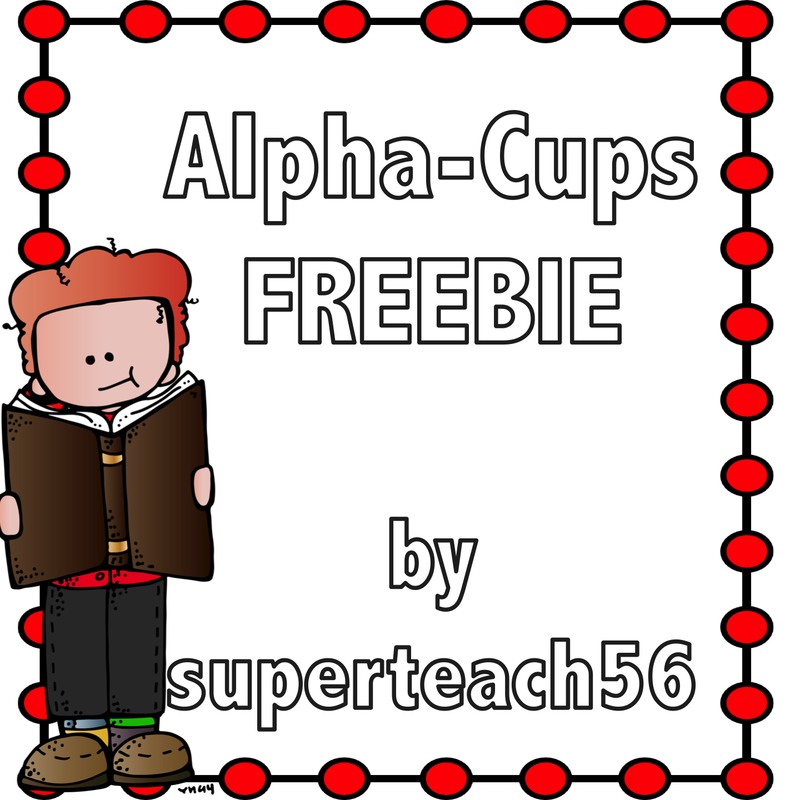 ALPHA CUPS provides the kids with extra ways to practice letter recognition. Alpha cups originally began by mounting a capital letter on one cup and its matching lower case on another. Kids then match the letters and name them by stacking the like letters together, as seen below. 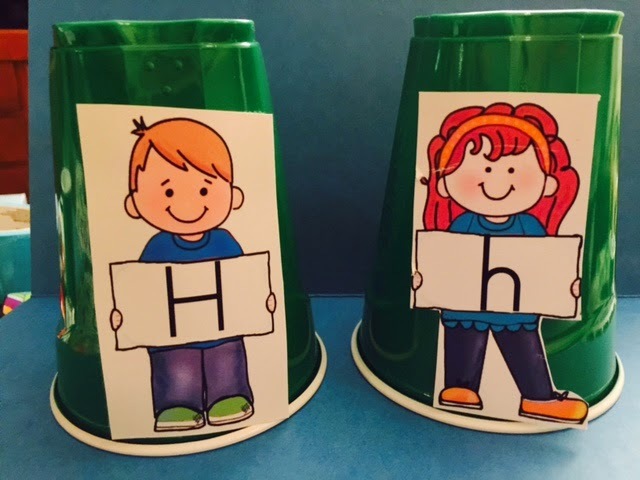 These alpha cups are also good for working on sequencing of letters in the alphabet and can be grouped easily into whatever groups your students need extra help with. The pages can even be cut apart and placed on a file folder. Then students can match the letters and name them or even give the sound associated with the letter by matching them to the cards in the file folder. TIP: One of the greatest things that has helped me in my years of teaching is organization. Figure out your organization method from the start and stick to it. Perhaps you think best if things are organized by color; then organize your materials by color: Reading activities could be blue, math red and writing green. This makes materials easy to find in storage closets, makes them easy to use in the classroom and helps the students know which activities go with which subject. To get this BLOGHOP FREEBIE, please click the image below. Thanks for checking in. For more freebies and tips, continue the trip through the blog hop by checking out You Aut-a Know...just click the button below. I have the same problem with my students not retaining their letters and sounds. 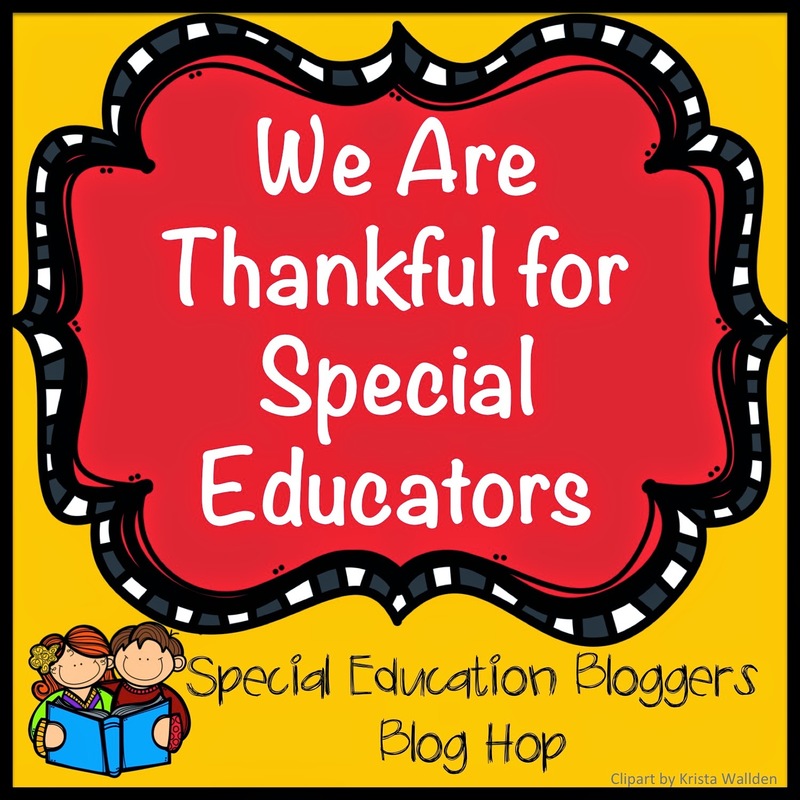 I had one student last year that knew all 26 and after summer break, this year she now knows about 8!!! eeek!! Oh, if only they would retain all the things we have taught! 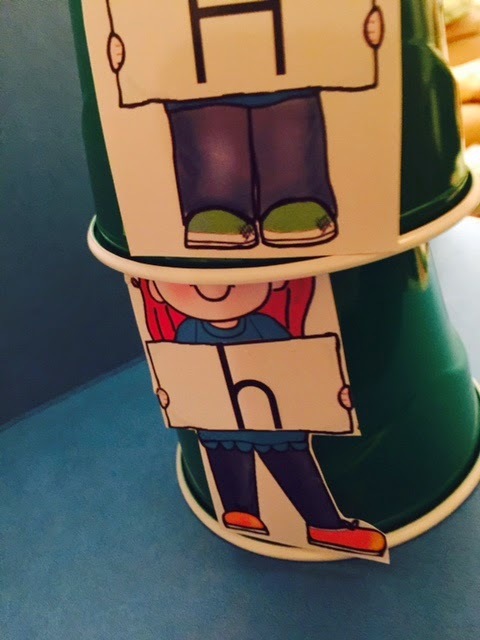 Clever idea for using cups to change up the curriculum! 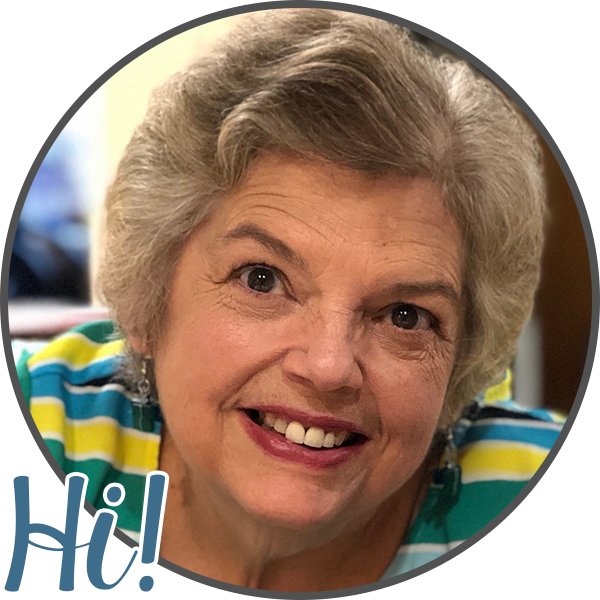 This is a great tip and I loved your freebie and will give it a try!